For a mother her baby is everything and to see her baby cry and not being able to do anything to soothe him is the most dreadful thought for a mother. Something like this happened with a mother when the doctors were not able to give her any clue about what is wrong with her baby. Stephanie Smith was in a bizarre state when her son Isaiah was suffering from some skin problem which doctors were not sure how to be cured. Initially, the doctors claimed it to be eczema but after much medication, the problem persisted and the doctors gave up on him. This is when she had to step forward and try her hands on for the cure of her baby’s rare skin condition. 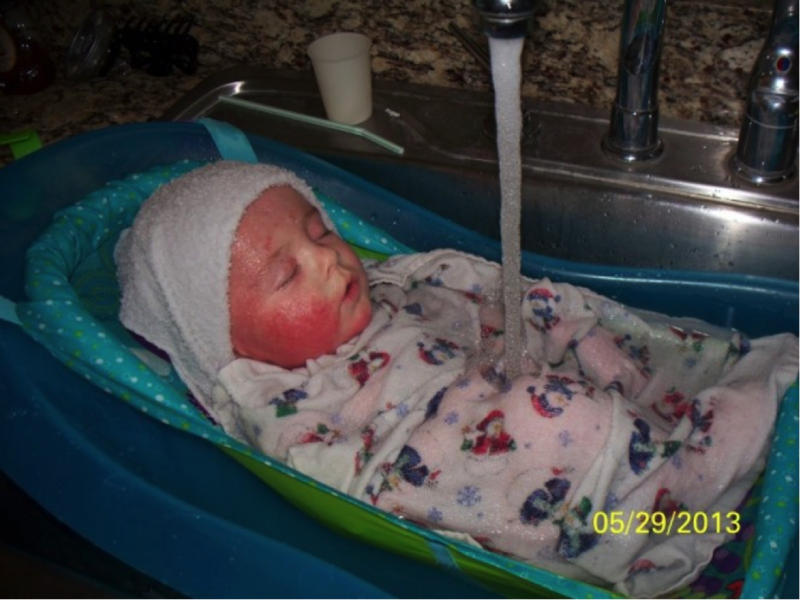 Isaiah had a very bad skin rash when he was 3 months old. The skin was first red and rough which later broke out with bleeding and leaking of a white discharge. He was prescribed topical steroid treatment by many pediatricians and dermatologists claimed his condition to be a worsening case of eczema. This helped him in the first place but not for long as the sores would come back again. All this continued for weeks and there came a time that the small baby started to lose his hair. The doctors were at a complete loss as they do not understand what is causing the whole problem. The little boy was all rashes; “I couldn’t even place my cheek next to him let alone hugging him with love”, says Stephanie in a pain ridden tone. 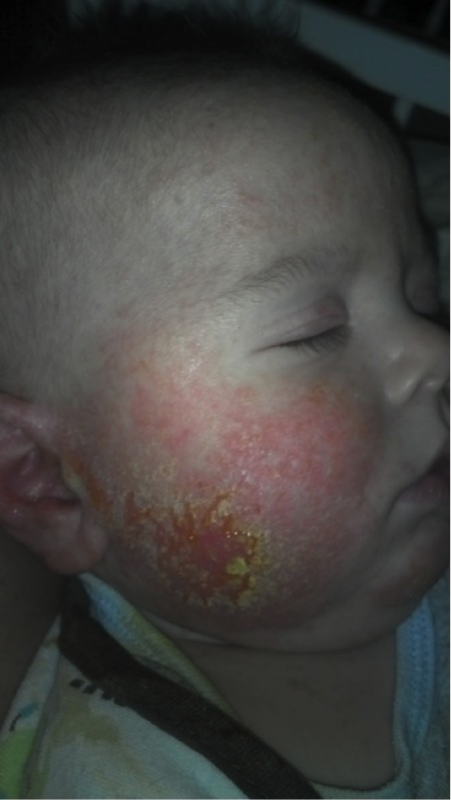 At the age of 5 months, a really bad rash broke and Isaiah was hospitalized. But the treatment helped him permanently. He was only soothed when kept in the sink under cold water tap. The doctors lost all hope and Stephanie had to take the charge. She searched the internet and soon found out that there are many other people suffering from the same problem. Leaving behind the steroids she tried a lemongrass and zinc treatment which surprising worked as a miracle. 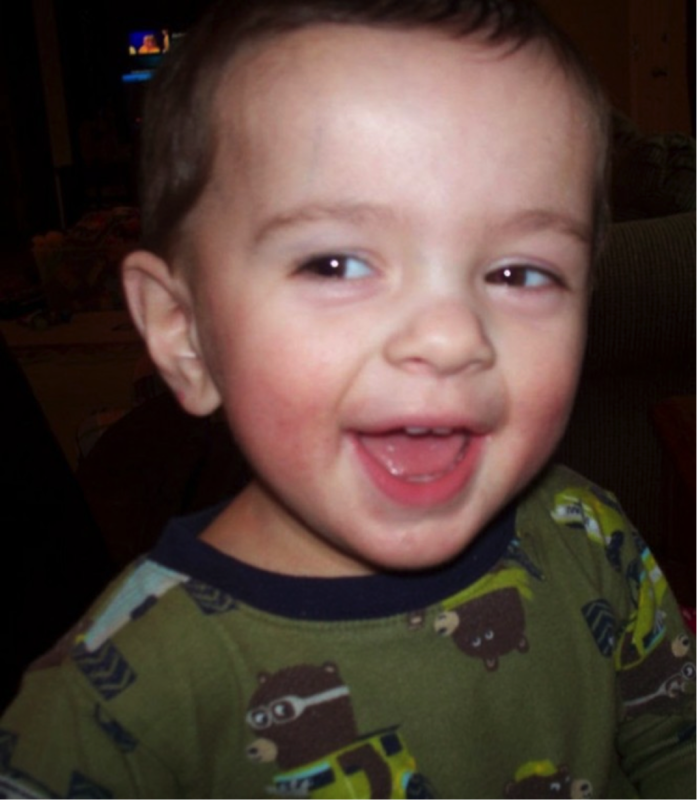 Little Isaiah is now 2-years –old happy child with no skin disease. Won’t it be disastrous when your med tells you he doesn’t know what is wrong with you? It is great that Stephanie was obstinate enough to fight for her child.